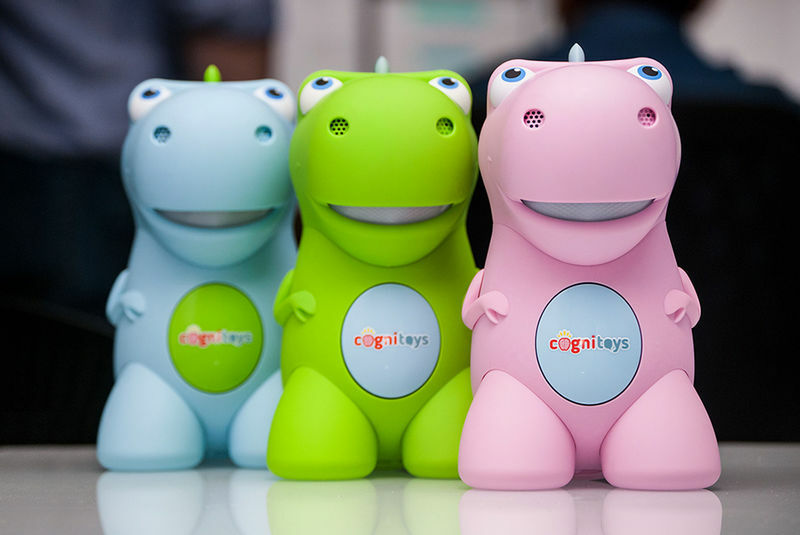 With so many fun predictions around #AI, and after the AIBE Summit last week, I thought I’d list some interesting Narrow AI examples and attach some fun concepts I’ve come across – some even in market. I am a believer of the “Show me don’t tell me” philosophy, so adding some videos for kicks! We will have access to all of humanity’s knowledge with a thought – so why should we spend 18 years memorising that knowledge? Learning will become far more talent-driven and vocational. Identify your natural predisposition and leverage the knowledge of every expert on the planet. Find peers to mimic and learn from. Get your personalised excerpts of video, interviews and lessons that mix free content with curated and even bespoke content to progress and evolve. The more you learn the closer you get to becoming a provider of services merging supply and demand – the so called prosumers in energy marketplaces. Here’s something that could be the opening version of this, and it’s already in market, powered by IBM Watson. The wheel propelled us in exploring and understanding sociology and psychology, by creating efficiency in physical movement and an exponential growth of human physical capability. The internet created the Cambrian explosion of knowledge and communications, which enabled us to collaborate on the biggest problems generated by the previous revolutions. AI will give us the capability to explore new frontiers: who we are to the molecular level, how far we can go in the universe. 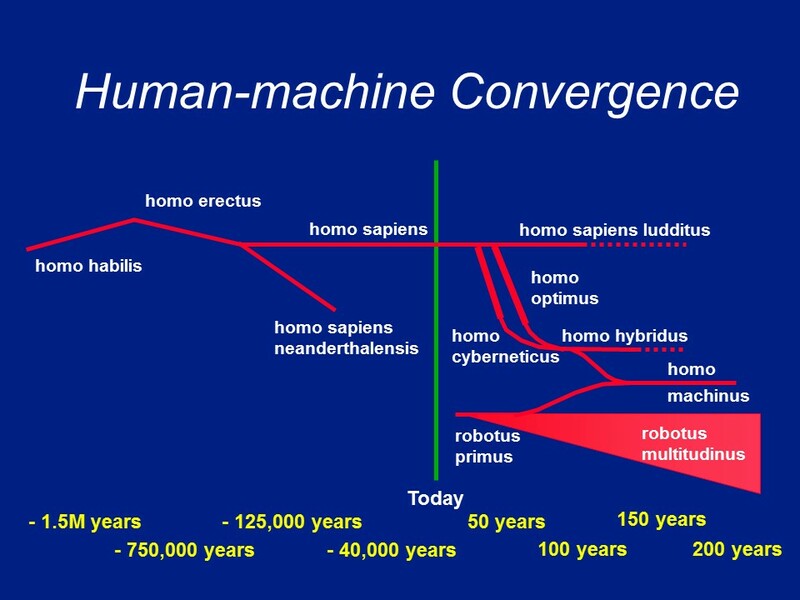 The fusion of technology and biology, will mandatorily enable us to accelerate natural evolution. The difference is this one will take a few decades, not centuries nor tens of thousands of years. Interesting that man first built the tools to explore physical space in the planet, then changed it, is now changing itself to then explore new physical frontiers (space). What next? Change space? I wonder what the next dimension will be. Love this awesome collection of names from Dr. Ian Pearson’s blog. What IBM (as well as Google and Microsoft) are doing in the health area is making every Oncology doctor as good as all of the world’s Oncologists together. It doesn’t make them replaceable but it gives them what currently only machines can do: access a shared pool on knowledge that would take them a lifetime to read. Be able to crunch data about the characteristics and genomic markers of every patient and match patients with treatments with expected success rates – providing a more broader and realistic range of options that can match the lifestyle and profile of the patient. In other words, being as good as the best data scientist in the world. I believe data scientists will be spending more time creating a collective database of algorithms for users and applications to use, and less time cleaning and collating data. Slight tangent: Blockchain will probably help with that…and with eradicating the world’s biggest problems. 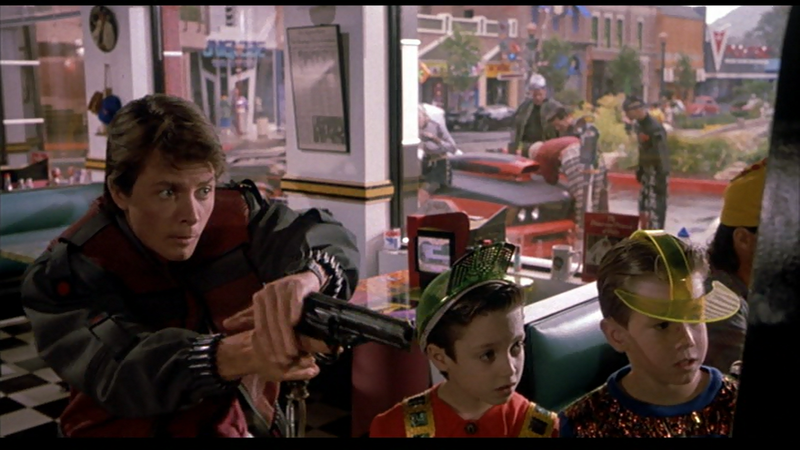 Remember that awkward moment from Back to the Future 2 when Marty aces a video game and a couple of kids reply back with disdain: “What? You do that with your hands?”. I wonder if we’re approaching that stage where you can tether your brain to the whole knowledge of the internet. As well as see 3D and AR directly in your brain or even tether to other’s thoughts directly. 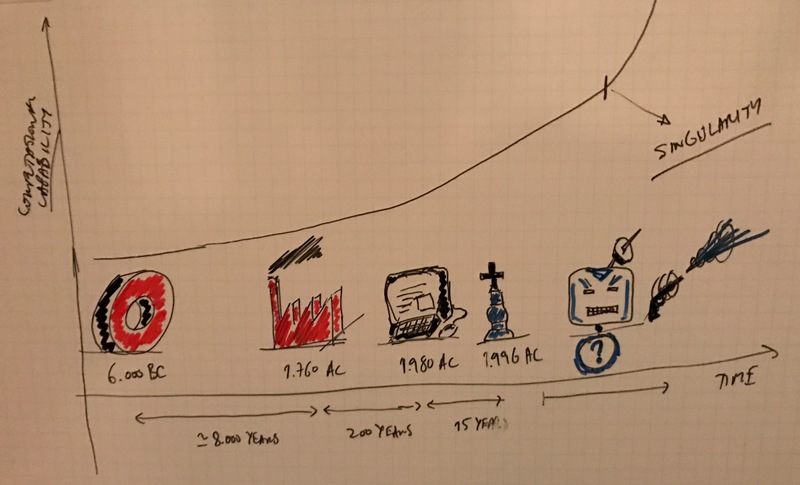 There as a great learning from a digital transformation conversation I had last weak, that I can see being applicable to the whole AI conundrum: “All transformation initiatives take twice as long as planned, cost twice the money estimated and deliver half the impact”. Share any other ones you might have come across, either on this post on via social media – always keen to geek out a little.